Most of us know what it feels like to be broken and to feel as if all is dark. We must be assured that God is with us in the dark! He's there repairing and rebuilding. 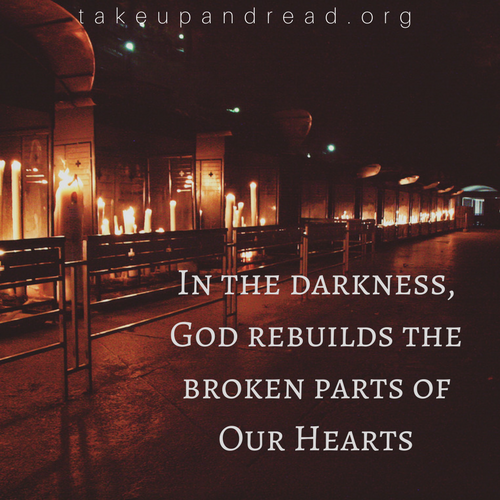 Do we really know and believe that God desires to repair, raise up, and rebuild the broken parts of our hearts? Are our souls well disposed to His working in us? What could we do to better ready our hearts?